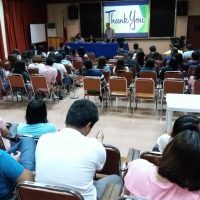 The Ateneo de Naga University-Center for Local Governance conducted the Lecture-Forum on Anti-Corruption Initiatives in coordination with the Ateneo de Naga University-Master in Public Administration (MPA) Program on 24 November 2018 at the Instructional Media Center, Ateneo de Naga University. The lecture-forum provided the participants with the deep understanding of the initiatives implemented by the government to combat corruptions. 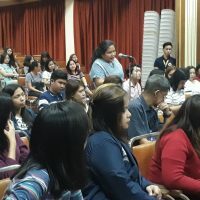 It covered a lecture session and an open forum that creates a ground for sharing ideas regarding the topic. 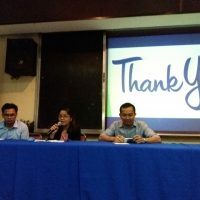 The resource speaker was Jaymar R. Azagra of the Civil Service Commission-Camarines Sur Field Office, while the reactors were Alexander C. Parrera of the National Food Authority-Legazpi City (National Government Agency), Dr. Jennifer C. San Jose of the San Pablo Integrated School-Libmanan, Camarines Sur (Academe), and Honorable Bernard C. Aquiler of the Municipality of Ocampo, Camarines Sur (Local Government Unit). 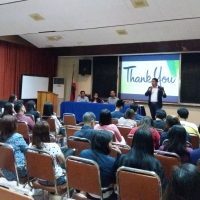 The participants were the Master in Public Administration (MPA) students and other Graduate Program students from Ateneo de Naga University-Graduate School who were welcomed by Dr. Maria Filipinas H. Bana of the AdNU-Graduate School – MPA Program. Cecille Manzo of AdNU-MPA Program served as the master of ceremonies/moderator.